LOOK UP - HALF THE PARK IS AFTER DARK! 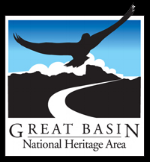 Great Basin National Park is an amazing road trip destination located on the border of eastern Nevada and western Utah. Whether you are driving east to west along Highway 50, known as the Loneliest Road in America, or adding a nature excursion onto your Las Vegas revelry, let the open road lead you to the heart of the Great Basin.